“Still alive” from Portal + animation from World of Warcraft = WIN! I found a couple of old notepads that my friends and classmates had written farewells in from 7 years ago. The other side effect of not being able to sleep is that I finally moved this blog over to a new domain. In retrospect, I should have done this a lot earlier, just plonk in a .htaccess file with a 301 rewrite rule and move files. All done. Update (April 2010): Well that didn’t last long. I’ve let the domain expire. I’m archiving this blog on my regular site and also bringing it out of anonymity. Lying in bed, unable to sleep, I realised I always want what I can’t get. And once I have it, I’m not as interested any more. 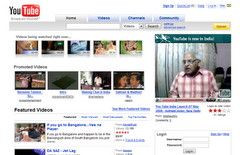 YouTube launched its Indian version a few days ago without much fanfare I guess. Or I don’t know, it might have been covered in the local newspapers, but I don’t look at any these days! So what’s different about YouTube India? For one, the featured and promoted videos are all from India. 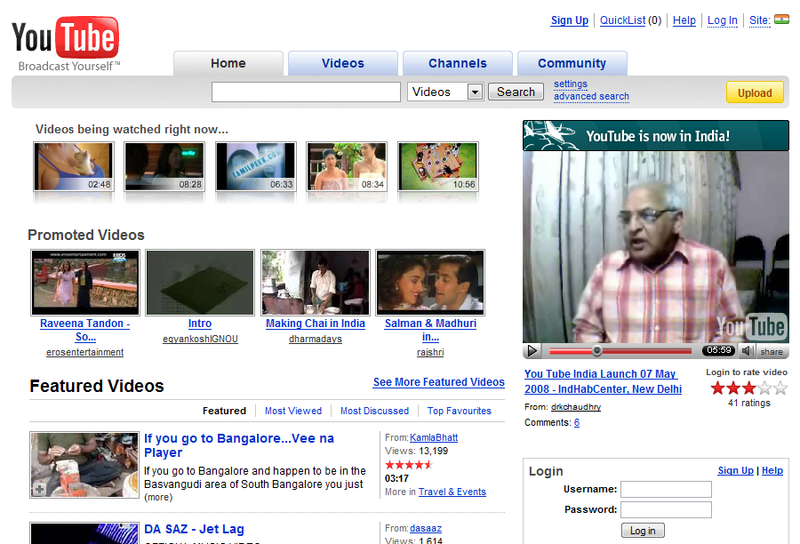 Also, if you look at the top right corner, they’re promoting a special video to announce the launch of YouTube India. I’m so bored at work today that I started idly poking about different websites. More poking around. Their blog runs on WordPress. Their webserver is Apache and its all running on an Ubuntu Server. How do I know this? Well, the silly people have not disabled directory listing, so after guessing it was a WordPress install, I started checking out the standard tree of WordPress folders, so now I know what’s in their plugins folder and their themes folder and of course the helpful line at the bottom tells me they’re running Ubuntu. Oh and for what its worth, they’re actually running WP 2.5 or above. Satchel is so cute when he’s angry! After getting my back pay from my previous job and getting a better paid job, I finally could afford to buy a new laptop. But so many choices and decisions had to be made. It didn’t help that I moved to a new city and so had to spend a lot of money on setting up home once more. Once the bank account was looking healthier, I started looking around. 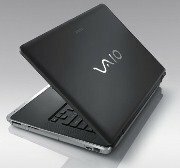 When I saw an advertisement for the Sony Vaio CR series, I was quite taken with them. Since the price was just slightly above my budget, I decided I would buy one. All of this coupled with the fact that I was a little uneasy about splurging so much money just to get a “cool” laptop, made me decide against a Sony. 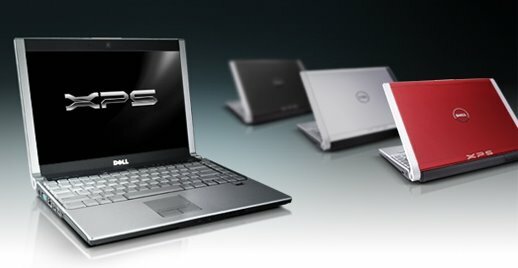 Just then, someone pointed out the new XPS laptops from Dell and I fell in love immediately! A fast processor, good graphics card, appropriate amounts of memory for Vista, good sized hard disk, a DVD writer and all of this in a light-weight machine that was just about 2kg. When my brother told me he could get an employee discount at Dell, that just sealed the deal. But, I had to wait a couple of months more. A few mix ups with which bank account my money should be in to pay for the machine delayed the whole ordering process. And when I did finally place the order, the website told me the estimated delivery date was a month away! But she’s finally here. I received the laptop a full two weeks ahead of the “estimated” delivery date, much to my surprise and joy. She’s been christened Zippy, a “cuter” name than the last laptop had. Oh well, I shall just have to starve for the next couple of weeks! Welcome Zippy, and here’s to many great hours of games and blogging! P.S. I bought the black one. My old, trusty laptop has been in use by me for over 5 years and is virtually falling apart. Poor Eurisco. That’s what I called her, a HP Pavilion ze1210 I bought in 2002. A big gaping hole where the battery should be. After 2 and half years, the battery gave out and I never got around to buying a new one. So to lighten my load, I removed the battery from the slot. Two keys missing. In my zeal to clean the keys and under the keyboard, I managed to break the F1 and Enter keys. A broken hinge. The hinge on the right mysteriously cracked (I have no clue how!) and a small metal piece that held the screen up fell out. So for a long time I had to keep the screen at one particular angle to make sure it was upright, or else it would fall down flat. Oddly, the cold winter in Gurgaon seemed to have done something to the innards since the screen now stands at any angle. 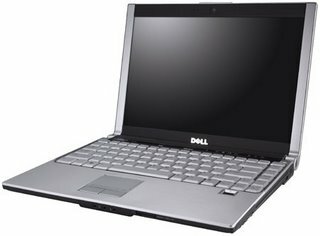 The CD-RW/DVD drive doesn’t work anymore. In fact, it randomly clicks now and then in a vain effort to prove it’s still alive. I have some success playing audio CDs, but nothing else works. The USB ports are worn from use, so using any USB accessories is a touch-and-go thing. And the biggest problem of them all, the port where the power cord plugs into the computer is loose, so that if I moved the laptop or jiggled the power cord, it would lose the connection (and since there is no battery, the laptop would go off. On the software side of things, newer apps were beginning to crawl. Firefox was so badly behaved on this laptop that I had taken to using IE7! I discovered Firefox when it was still called Phoenix and then Firebird. Thunderbird when people still preferred Outlook Express. I used Kazaa (remember that?) when I was first introduced to P2P. And I made my first forays onto USENET posting, IRC (using mIRC) and introduced myself to Linux via Knoppix using Eurisco. So long and thanks for all the memories! RIP, Eurisco.